Clay has been used for hundreds of years to draw out debris, dead skin cells and excess oils from skin. The skin ends up cleaner, softer, tighter and more supple. Various clays can be mixed with other substances like green tea or milk to give the skin an antioxidant boost or soothe irritation, respectively. Cosmetic clay for skin tightening can be bought as a paste or as a powder to be mixed with a liquid to form a paste. Rhassoul clay is a mineral-rich clay from Morocco. It is high in silica, magnesium, iron, calcium, potassium and sodium. This combination of minerals makes it potent for firming and tightening the skin. The clay can be applied directly on the skin or used as a wrap. As a body wrap, it works to firm skin after weight loss and pregnancy. Along with tightening the skin, it also reduces skin dryness and flakiness, as well as absorbs oil and removes dead skin cells. Green clay tones the skin by pulling out oils and impurities from skin. This stimulates the skin, bringing fresh blood to damaged skin cells and revitalizing the skin’s complexion. Removing impurities also helps tighten pores and skin. 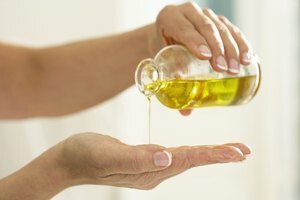 You should use it only once per week, but avoid it if you have sensitive skin. It is best for problem skin and also works as a daily spot treatment. 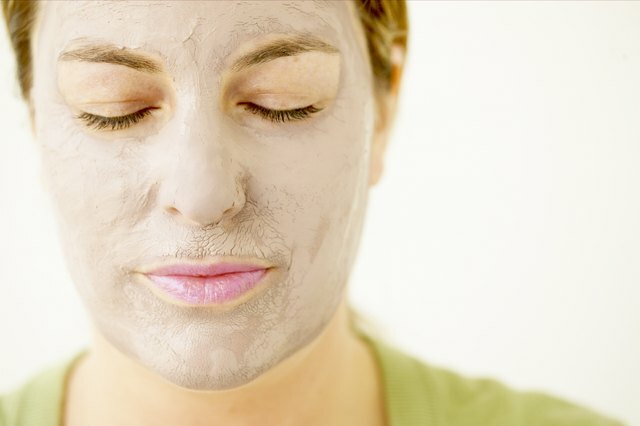 Bentonite clay comes from Death Valley, California and is used to tighten and revitalize skin. Apply this natural clay to your face or other areas and leave it on for about five to 20 minutes, depending on the sensitivity of the skin. You should feel a pulling and tightening sensation while the mask is on. When you wash off the clay, you will also wash off the impurities, tightening the pores and giving your a skin youthful glow.